Welcome to Nealworld! Farewell Coach Groover. You will never be forgotten. We will see you on the other side. Well I don't know how you got here, but here you are. I must admit, this is not the most spectacular page on the internet. It is just a simple expression of who I am and what is important to me. I hesitated to even make this page, because I know that who I am is probably of very little interest to you. But I meet people from time to time in chatrooms and such, and I have always found it helpful if the person I am chatting with has a webpage about him or herself that I can look at. So this is mine, and I hope you enjoy it. My name is Jimmy Neal Rolett, and my friends call me Neal (among other things). 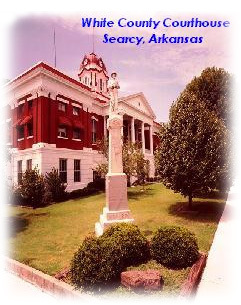 I was born on October 8, 1969 in the small town of Searcy, Arkansas, where I still live. The farthest I have ever strayed from home was in 1994 when I visited the Republic of Panama for a week. I guess I was raised to appreciate family and home, and my roots run deep. When I was a child I attended West Point Elementary school in West Point, Arkansas, where I believe my personality was formed. 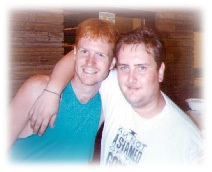 The friends I made there are still my friends today: Jeff Tompkins (pictured here with me), Tommy Sledge, Jeff Rhodes, Steven Walker, Chris Martindill, Randy Porter and Robert Hale. Most people envy the realtionship we all have, and it's a bond that can only be acheived through two decades of friendship. We have betrayed each other, stolen each other's girlfriends, fist fought and cursed each other from time to time, but friends we remain. I guess we always will. I believe the most important things in life are the relationships. You can endure any hardship if you are surrounded by good friends. Click here if you want to see the only picture I know of that shows all of us. While I was in the fifth grade at West Point I had the priviledge of having a teacher named Michael Lincoln. He was the first male school teacher I had encountered, and he became a kind of hero to me. It was obvious to all of us that Mr. Lincoln really cared about his students. He often took time to discuss our education with our parents and spent many hours "off the clock" taking care of our needs. Mr. Lincoln and I developed a relationship that lasted on into sixth grade and beyond. Even through high school we were in touch and came to be good friends. I greatly admire him for the life he has lived and the great example he is of what a godly man should be. He and his wife, Shelley, have raised (or are still raising) six wonderful children, and God only knows how many other lives he has touched. The thing that stands out most about Mr. Lincoln is his love. It has been my experience that giving love is more gratifying than receiving love, and Mr. Lincoln must be the most gratified man alive. Meanwhile, every summer I was attending Camp Wyldewood here in Searcy. 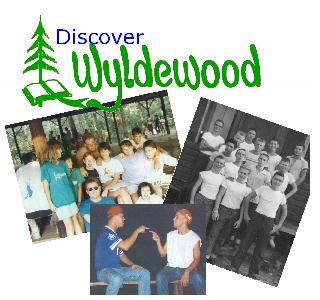 Wyldewood is a Christian youth camp for boys and girls age 9-18. Every summer was a growing experience for me, and I always counted the days until I could return. I have heard of people trying to "find themselves," and that seems like a noble task, but it is my opinion that one's true self is not something waiting to be found--it is waiting to be made. I believe Wyldewood played a vital role in the making of me. I highly recommend that every child have a Bible camp experience, and Wyldewood would be an excellent choice. I attended the camp each summer from 1979 to 1986. The last summer I was a camper, I later got hired on as a member of the staff (I was 16), and continued working at camp every summer. 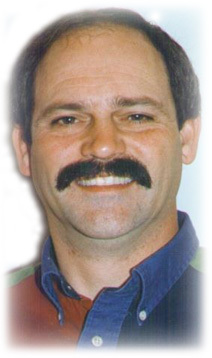 Hugh Groover was the director of the camp all my years as a camper and my first years as a counselor. I love him very much, and know that he is a big reason that the camp has become such a wonderful place. In 1995 he announced his intention to retire, and that a new director would be chosen for the summer of '96. My heart sank, because I feared the worst. Who could the board possibly choose to fill his shoes? I cannot even begin to tell you how amazed and delighted I was when I received the news (from Jeff Tompkins, no less). The new director of Camp Wyldewood was none other than my fifth grade teacher, Michael Lincoln! So he and I became closer than ever, and Wyldewood practically became my life. During the interim after the summer of 1999, I came to the painful decision to end my Wyldewood career. I made that choice not because times were bad, but because times were good. As much as I loved quitting my job and spending every summer in that wonderful place, I felt myself outgrowing that lifestyle. In reality, the summer camp counselor experience is intended for young adults and teens, and I reluctantly came to the realization that I was no longer of that demographic. I'd much rather have people saying "Why are you leaving?" than to hang on a few more years and hear them whispering "Why doesn't he leave?" So at the end of Summer 2000, I said a tearful goodbye to Wyldewood. I want to express my sincere appreciation to Mr. Lincoln, Ken Shackelford, the counselors and staff and the Board of Directors for the way they honored me during those final days of the summer. It was an experience I will never forget. 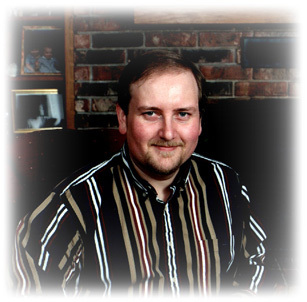 I am currently working on another website to pay tribute to Wyldewood and the hundreds of people who profoundly blessed my life over the years. Check back here later for more information on that. I just added a picture gallery. So this is me, like it or not. I want to thank you for taking time to visit. Feel free to choose from the options below to learn more, and please sign my guestbook. You may email me, if you like.